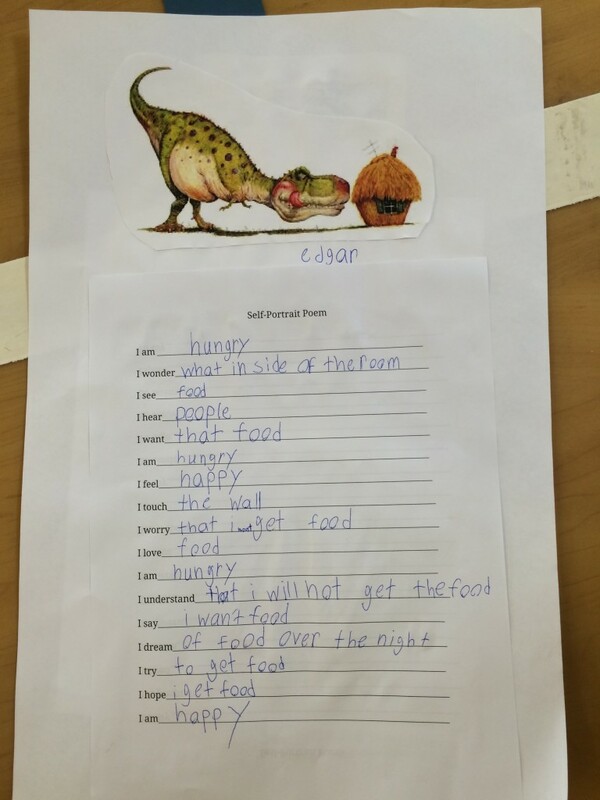 On April 19th, four facilitators from San Diego State University visited Monarch School in downtown San Diego to run a poetry workshop for a group of 2nd – 4th graders. After the relay race, the students gathered for their first activity: writing a pantoum. A pantoum is a poetic form with similarities to the villanelle; it is composed of quatrains with repeating lines — the second and fourth lines of each stanza are the first and third lines of the next. When reading the sample pantoum, the students noticed the repetitious form right away! 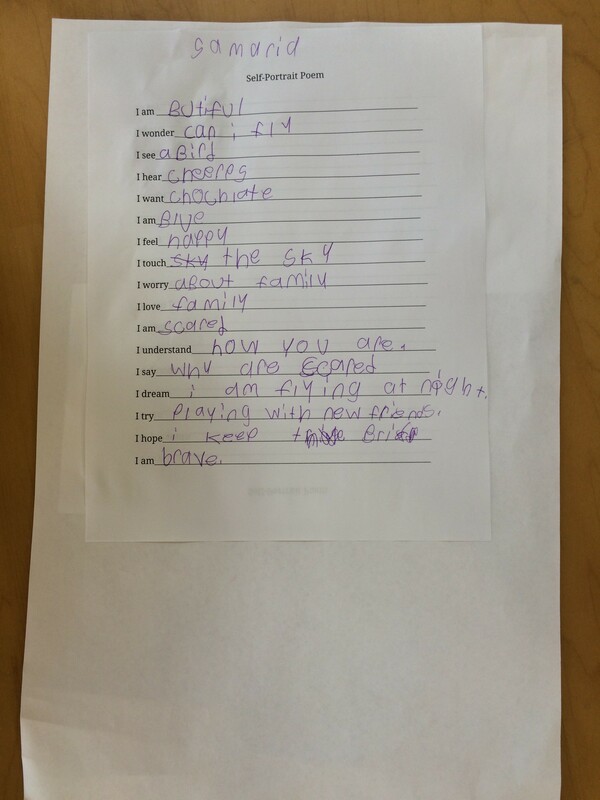 Using a worksheet, the students wrote their own pantoums about their favorite activity, like the one pictured below. 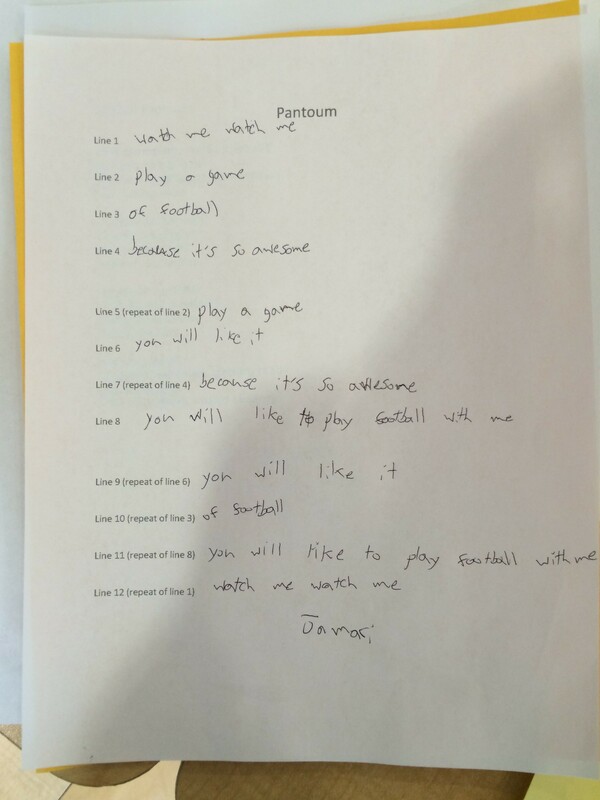 For the second full-length activity, the students wrote portrait poems based on a prompt that gave them the first two words of every line: “I am;” “I understand,” “I dream,” etc. They composed the rest of the poem using their creative and astute imaginations! 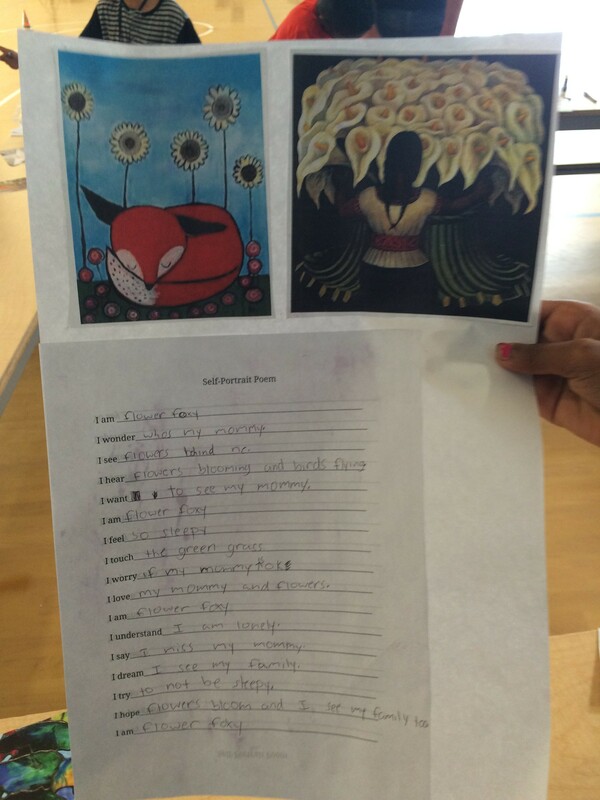 When they finished writing the poem, they chose one or two cut-out pictures that they felt best represented them. They glued both the poem and the picture onto a large sheet of paper, creating a piece of artwork that combined language with images. Finally, the students circled together to read their work aloud, which gave them a chance to share their stellar poetry with their peers and facilitators.